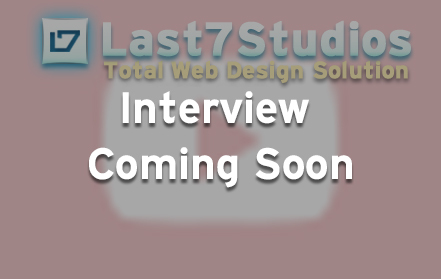 We are Last 7 Studios, a Bradenton Web Design Company. We have spent the last 12 years providing Web Design, Search Engine Optimization and Website Management Services to our clients in Manatee county, Sarasota County and around the United States. We live and work in Bradenton Florida, but we have clients in Bradenton, Sarasota, Lakewood Ranch, Bradenton Beach and so many more places. Our goal is to be your partner when it comes to your Website Design, Web Development, Social Media, Interactive Media and internet Marketing needs. With our years of experience we have the knowledge to ensure that your presence on the internet is what you want and need it to be. Below are some of the services we offer. From concept to full build, we work with you to ensure that your web presence represents you as a company. We use data collected from your own website to build a search engine strategy that drives conversions. We use market research to create the right marketing plan that fits your goals. Not just clicks, but conversions. One website, every device, every operating system. We build a site that everyone can access, no matter the platform. Every client is different, as is every social network, we help you send the right message to your clients on each. Wordpress can be complicated, we can help simplify your life of updating and maintaining your site. Nationwide coatings reached out to us to help redevelop their existing website. We were able to quickly get the site design moving forward helping Nationwide start to brand itself for the 21st century. What is A/B Testing? How does it actually affect my website? How can I use the information that A/B Testing gives me to improve my website? It is all less complicated than what it seems. So, let's start with the basics. What is A/B Testing?